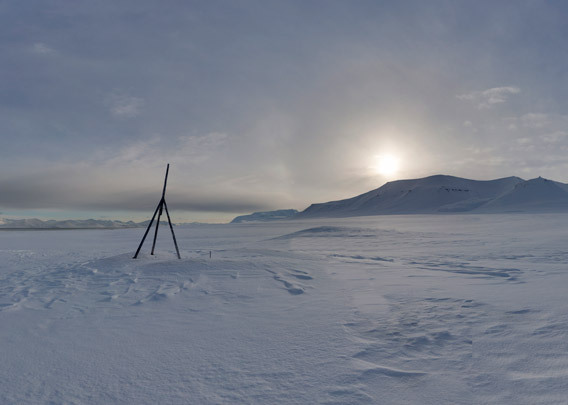 Reindalen ist Spitsbergen’s largest ice-free valley. A large part of the regional reindeer population is feeding on hundreds of square kilometres of tundra in just this valley. The dimensions of the landscape are seemingly endless. The valley is a good ten kilometres wide at its mouth, uninterrupted by any landscape details. This makes the landscape appear huge. It takes many hours to get somewhere on skies, not to mention a summer hike when endless wetlands and the large river take a lot of time and energy. In the winter, it is easier to access and enjoy this vast landscape. 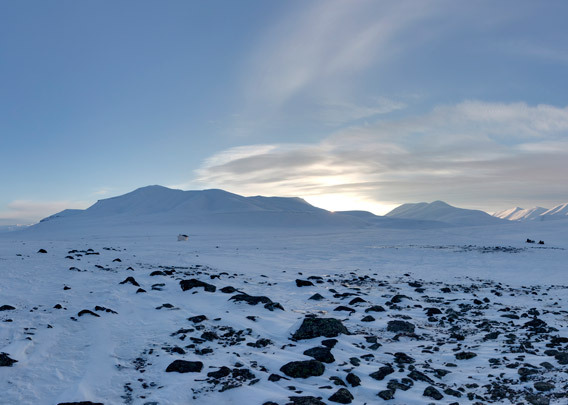 If you drive with a snow mobile from Longyearbyen to Sveagruva, then you will usually cross Reindalen and then drive up Slakbreen, passing Andreasbu, an emergency hut by the mining company Store Norske. 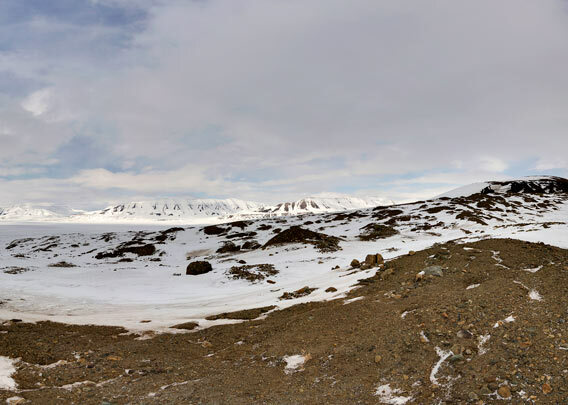 I made this panorama on a hill of the Slakbreen-moraine, on the southern side of Reindalen. The valley Reindalen is Spitsbergen’s largest ice-free valley, with a huge river and wide wetlands and marshes in summer.